IMPORTANT INFORMATION FOR GREEN RUN, ATHLETICS, CYCLING AND ORIENTEERING. 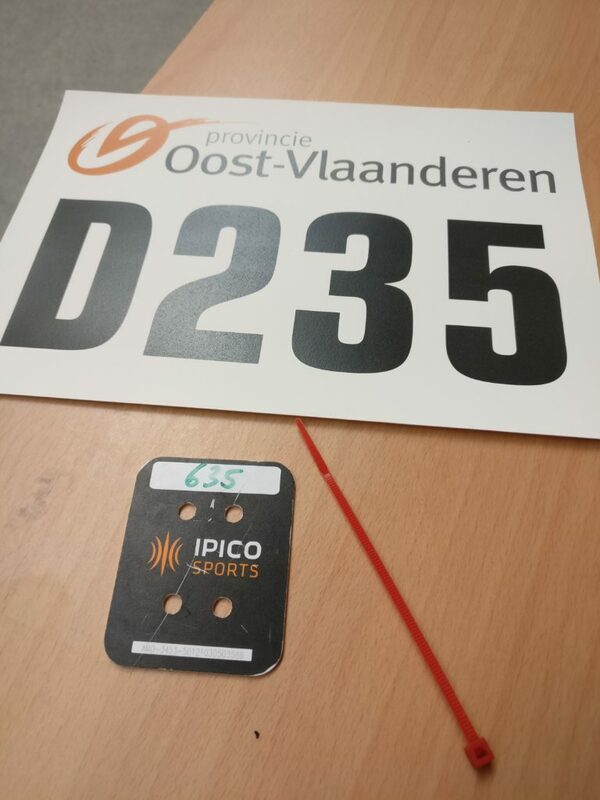 Participants in the first 3 sports competitions (Cycling, Athletics, Orienteering) will receive a participation number. This is important for time registrations. This participation number can be seen ON the envelope you will receive during the accreditation process at the meeting center and can off course be found INSIDE the envelope. 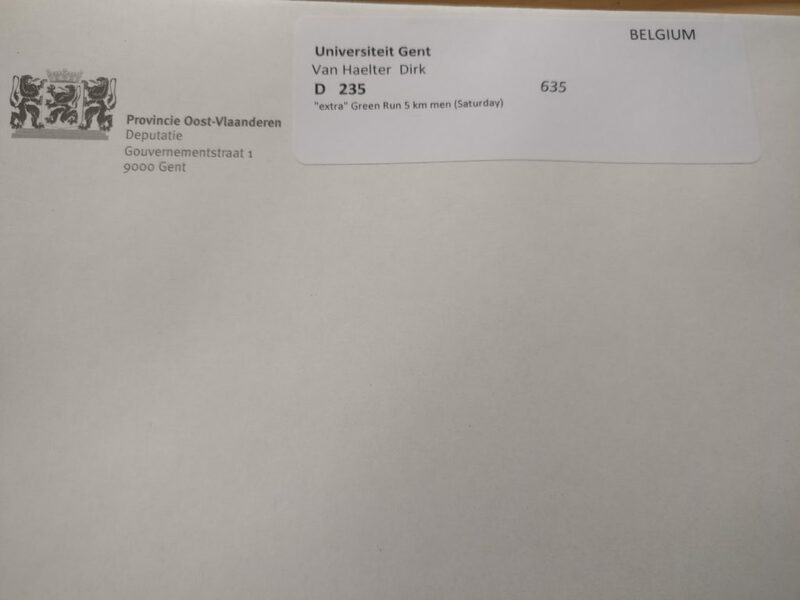 –> It is very important that you check if the participation number ON the envelope corresponds with the particpation number INSIDE the envelope! Participants for the Green Run not only need a participation number but also a chip that needs to be attached to the shoe (if you participate in 5 AND 10K races you even receive 2 chips). Also for time registrations. The participation and chip numbers can be seen ON the envelope you will receive during the accreditation process at the meeting center and can off course be found INSIDE the envelope. –> It is very important that you check if the participation and chip numbers ON the envelope correspond with the participation and chip numbers INSIDE the envelope! This might sound a bit complicated so let’s consider the example of our Belgian participant Dirk Van Haelter with the story and pictures below. 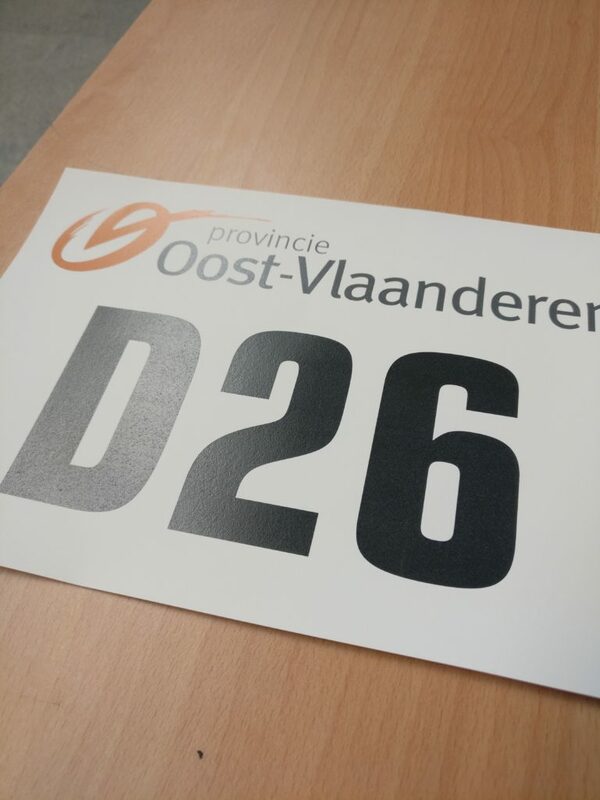 Dirk is taking part in the cycling competition (indoor + road race) and for this he received participation number D26 which can be seen on the envelope. 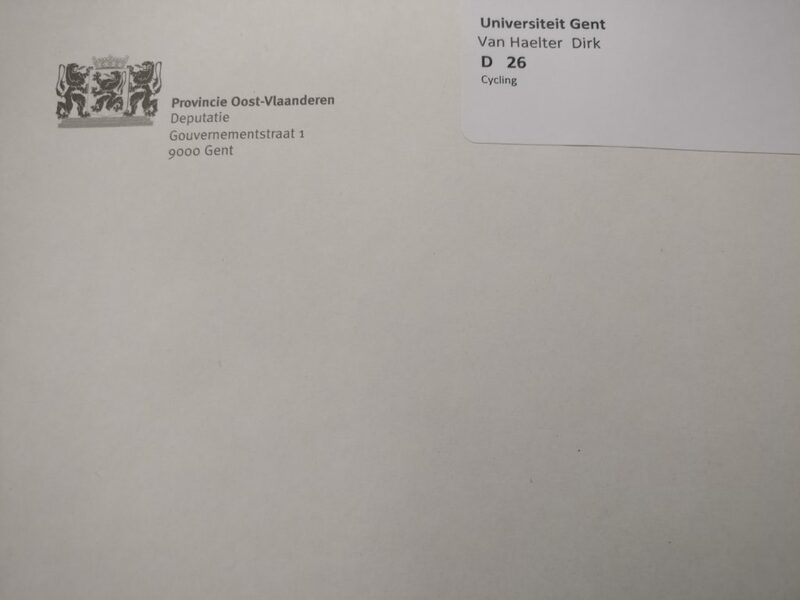 However Dirk is also taking part in the Green Run on Saturday (only 5K race) so next to a participation number (D235) he also receives a chip number in his envelope (635). However, do you think there seems to be a problem with one of the numbers you received (chip or participation numbers)? Then it is very important that you contact Bente Peeters, our person responsible for this matter, as soon as possible. In that case, we will try to solve the problem as soon as possible. ← Getting around the city!